You are here: Home / Family / Home Life / Why Use Bamboo Washcloths? This conversation on Bamboo Washcloths was sponsored by Toogli . View our complete disclosure policy here. While cotton had always been my favorite fabric, bamboo has now taken its place. Bamboo is a super soft natural fabric. It has natural anti-microbial and hypoallergenic properties. It is more absorbent than cotton and even dries quicker than cotton. Bamboo has become my new favorite material for just about everything – I use a bamboo cutting board, bamboo kitchen utensils, bamboo hand towels, a bamboo memory foam pillow, bamboo bed sheets and even bamboo socks. The soft, gentle, and hypoallergenic nature of bamboo makes it perfect for a baby's soft and delicate skin. Children of all ages and even adults can use bamboo washcloths in their bathing and skincare routines as well. Don't let the name fool you –Toogli Bamboo Baby Washcloths are not just for babies! As an adult, I use these soft bamboo washcloths in my daily skincare routine to wash my face. I find that they are more delicate on my skin than other fabrics. Plus, I can rest assured that they are safe for my sensitive skin due to their anti-microbial and hypoallergenic properties. After washing my face with a bamboo washcloth, I like to grab another bamboo washcloth to pat my face dry. 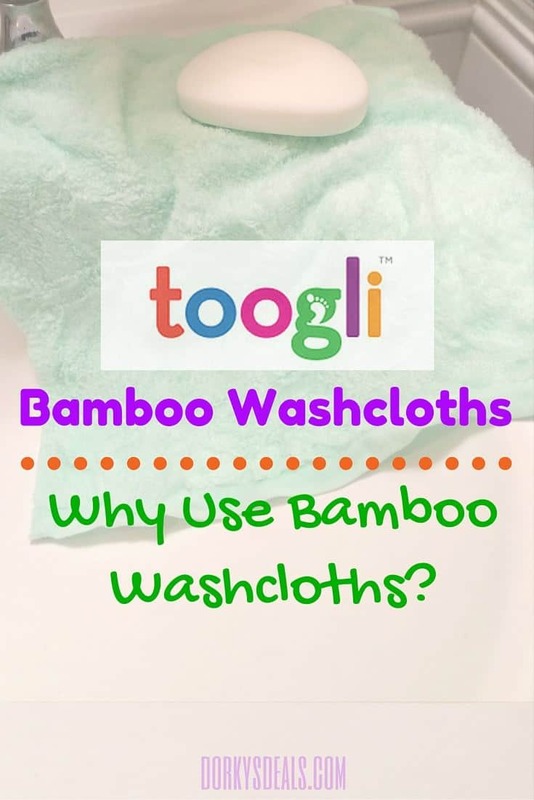 Toogli Bamboo Washcloths are so absorbent that they dry my skin much quicker than my regular cotton shower towels, plus they are softer on my skin too. Each Toogli Bamboo Baby Washcloth measures 10 in x 10 in and is the perfect size for a baby, child, or an adult. They are extra thick and oh-so-soft and gentle. The first time you feel them you notice how soft and luxurious they feel. The Toogli Bamboo Washcloths come in a set of 6, with 2 each of white, green and yellow. The colors are perfect neutrals suitable for males or females – baby boys or baby girls. 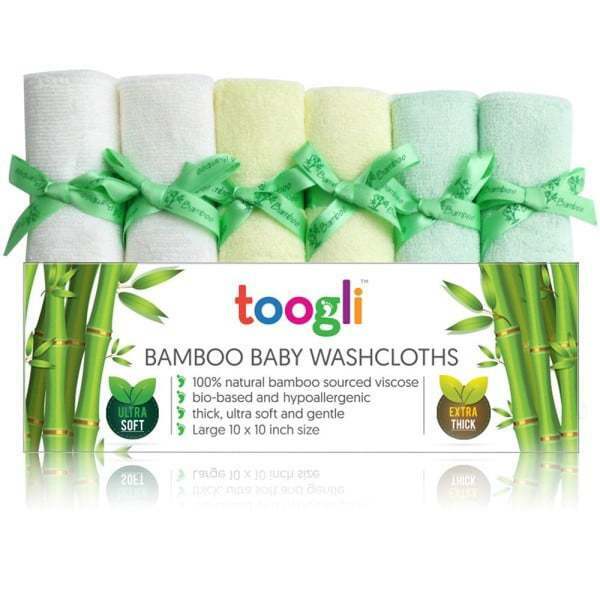 I would recommend Toogli Bamboo Baby Washclothes to mom's and moms-to-be, as well as to adults. The 6-piece set would also make a great baby shower gift. Toogli is so confident in their product that they offer a 100% zero-hassle lifetime guarantee, so you can shop with confidence. You can purchase Toogli Bamboo Baby Washcloths on Amazon. « Era Organics Complete Moisturizer: Superfood for your Skin! Bamboo washcloths are so soft and perfect for sensitive skin and babies. I bought a pack of them for my sister when she was pregnant and she absolutely loves them. My nephews have eczema and she uses these washcloths when she bathes them since they don’t irritate skin. I also like to use them while washing my face, especially if I have break outs. Great review! Bamboo as a washcloth? Who would have thought! Definitely will check it off I love feeling soft! 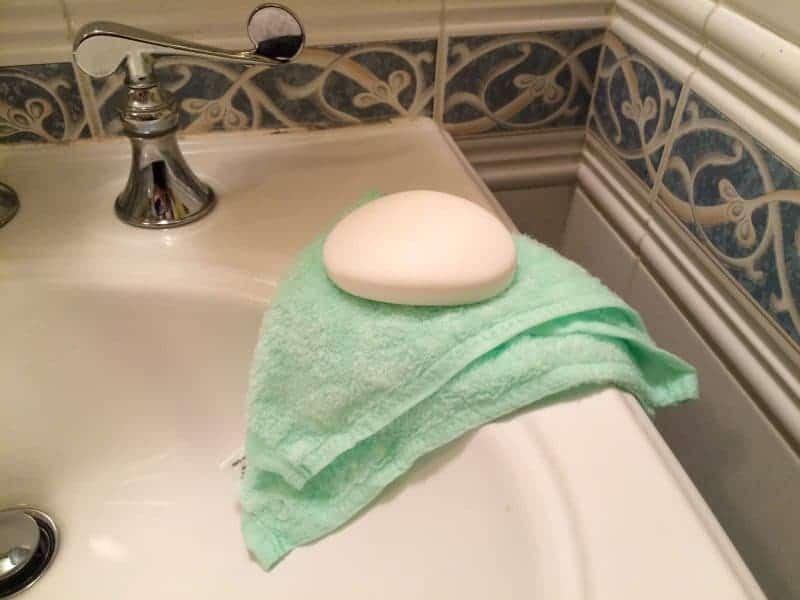 I like and use bamboo washcloths, they work well and are durable. I’ve been hearing wonderful things about bamboo. I’ve already made the switch to bamboo cooking tools. Might be time to add washcloths to the list. They look soft. I like bamboo. I used to buy bamboo diapers for my son, I have these wash cloths too, they really are superior! ooh these sound wonderful, I never thought of bamboo for wash cloths, I want to get some for me and for making nice gift baskets! I’d love to use bamboo washcloths for my face – thanks for all the info!